“Do you want to hear the best story you’ve ever heard in your life?” Andrea Gibson asks into the microphone. The audience leans forward in silent anticipation. “So I met this woman and I went home to her house with her.” They pause, “already a great story.” The audience erupts with laughter, a happy juxtaposition after being so quietly captivated. Smirking into the spotlight, Andrea continues, “…So we’re about to kiss for the very first time. And right before our lips touch, she jumps from the bed, runs to the closet and grabs a stethoscope, puts the ear thingies in my ears and slides the knob down her shirt onto her heart and says, ‘I want you to listen to my heart speed up when you kiss me.’ And I kissed her! And her heart got faster and faster y’all.” By this point the room itself almost feels like a stethoscope pumping with the galloping hearts of the fans. “Moral of the story, buy a stethoscope,” Gibson says, and there’s that laughter again, followed by music, and they launch into a love poem – with the members of the audience mouthing along. You’re not alone if when you hear, “poetry show” and don’t envision a scene like this. 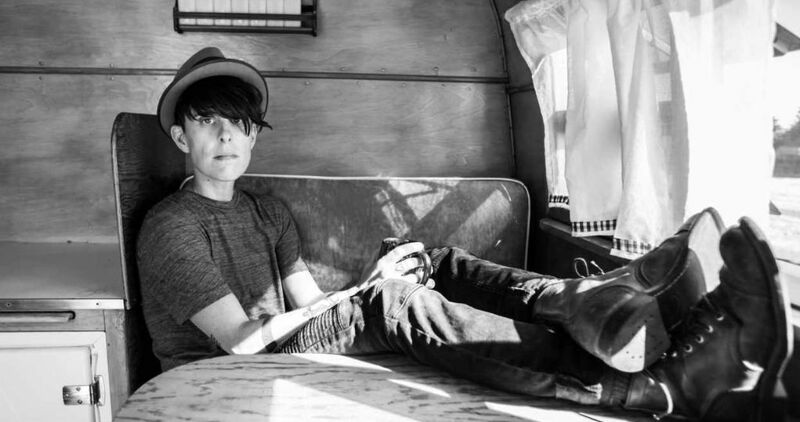 But then chances are you’ve never seen Andrea Gibson perform live. One of the most celebrated and successful poets in the field began their career in 1999 with a break-up poem at an open mic in Boulder, Colorado. Gibson then leaped into the forefront of spoken word poetry on the national scene in 2008 when they won the first ever Woman of the World Poetry Slam. Author of three collections of poetry and currently working on an illustrated collection of their most memorable quotes for Penguin (Winter 2018), Andrea (they/them/their) has also released seven (7) full-length albums.